The album title Dodekathlon is referring to the Greek myth of the twelve labours of Hercules, the greatest of the ancient Greek heroes. Driven mad by Hera (queen of the gods), Hercules slew his son, daughter and wife Megara. After recovering his sanity, Hercules deeply regretted his actions. He was purified by king Thespius, then travelled to Delphi to inquire how he could atone for his actions. Pythia, the oracle of Delphi, advised him to go to Tiryns and to serve his cousin king Eurystheus for twelve years, performing whatever labors Eurystheus might set him. In return, he would be rewarded with immortality. During these twelve years, Hercules is sent to perform twelve difficult labours, which has resulted in twelve album tracks: Every labour is a track, so the complete album tells the whole ancient story. One year later, the turning point was there: New line up, new songs, new concept, new album! 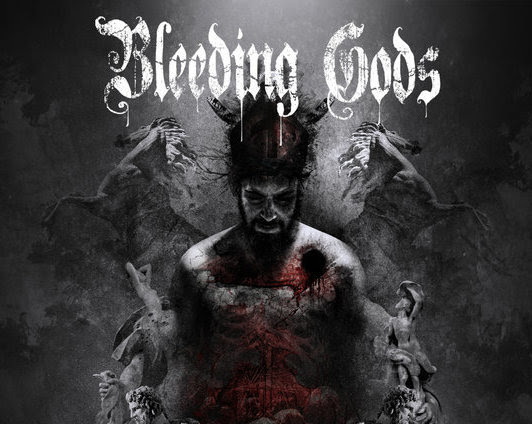 BLEEDINGGODS renewed their line up and are now stronger than ever! After their debut Shepherd Of Souls, the band knows exactly which band they want to be and consequently Ramon Ploeg (Guitars), Mark Huisman (Vocals), Rutger Van Noordenburg (Guitars), Gea Mulder (Bass & Backing Vocals) and Daan Klemann (Drums)created a brand-new concept. Let's get ready for Dodekathlon!